Hello! My name is Patricia Alvarado, but I go by "Patty". I am a Licensed Professional Clinical Counselor licensed in the state of California as well as a Licensed Mental Health Counselor licensed in the state of New York, currently living in New York City. I gained my Master’s of Arts in Counseling from Loyola Marymount University and my Bachelor's of Arts from the University of California-Santa Barbara in Sociology and Women's Studies both located in California. I have been in the helping profession for over six years, working with children, adolescents, and adults alike. My experience comes from various schools of thoughts, through a multicultural lens, including cognitive behavioral therapy (CBT), solution focused treatment, and strengths-based approach, exploring problems in the here and now, while understanding the client's needs. I have extensive experience working within crisis intervention, trauma focused treatment, anxiety, depression, mindfulness, substance abuse, and parenting strategies. My areas of expertise include exploring trauma and understanding how that impacts current decisions and relationships. Within my experience, much of my work does primarily aim to understand the underlying concerns that are causing stressful situations and maladaptive behaviors. Through active listening, empathy, and from a non-judgmental standpoint, my hope is that we can work together to help create trust within the therapeutic relationship. Creating both short and long term goals can help us build a map of where we have been and where we can be within our life. Recognizing triggers and creating positive coping skills can be one of the many tools that can assist us within our healing journey. My goal is to help each person make big changes doing small things. Sometimes it just takes one person to listen to help make that change, other times it’s just saying what you are thinking and feeling out loud that makes the difference. Whatever it is, my wish is to be able to help guide you through your own path of self-discovery and self-love. Patty is a wonderful therapist. She easily builds rapport, asks insightful questions, is an active listener and I always feel better after my sessions with her, even when difficult things are discussed. I would recommend Patty to anyone looking for the highest quality therapist. I look forward to Patricia’s expert responses to my concerns. She is quite attentive and I really feel heard. She recommends appropriate work sheets and tools that really help to organize my feelings. I highly recommend Patricia. I’ve had Patricia as my therapist supporting me via messages through some family crisis for over a year but it was a few months ago that we began phone/video chats, and I truly feel a change. Her demeanor, while professional, is still warm and I feel like she’s connecting with me and my concerns. It’s a long road to change, and I wouldn’t be on this road without her help. Patricia provides a great listening ear, challenges you to reflect, provides some real like examples of how to make subtle healthy changes. Thank you Patricia. Patty is incredible. The amount of issues we’ve worked through is truly mind blowing, and the level of self awareness and happiness that I’ve achieved is something I never expected. Patty has been a tremendously helpful and supportive counselor. I originally started our sessions to help me through some relationship issues I was having. She gave me great insights into several issues I was having, and has provided me with constant support for other issues as well. I’m truly grateful to have been partnered with such a wise and kind counselor. She’s helped me see things from different perspectives, and has helped me get to where I felt I needed to be. She has understood my issues from the very start, and is very good about tracking the events and details related to my issues. I really appreciate her attentiveness and consistency related to our sessions over time. Patricia has helped me tremendously. She listens, asks questions, yet gives me feedback and with no judgment. She takes a positive approach in getting me through extremely stressful situations in my life. I highly recommend her services! Patricia is really a pleasure to work with. She listens, is open minded and offers practical, sound advice. Patty is so insightful and supportive and has been such a help, during a time I felt truly hopeless. She is very good at understanding the central problem and creating a plan. She has helped me make a lot of progress in a short amount of time and helped me believe that with some consistent work, I can really change myself and my life around. Highly recommend her! Patricia has helped me through probably the toughest time in my life giving me that extra support to work through my anxiety issues that have recently surfaced. She’s constantly giving me tips, coping mechanism and that unbiased listening ear I needed through this difficult time. Truly don’t know how I could be as far along as I’ve come without her help! Thank you, Patricia! Patricia listens to me and respects my opinions and uses ways to ensure we both understand situations or feelings better. She provided me with a lot of very valuable help in the time that I worked with her. Thank you! Patty addresses areas of concerns to be able to get someone else's perspective of a situation and solutions. Patricia is always there to lend her expertise. I appreciate her effort and for being a great listener. She is very good, and reasonable. She seems to really understand where I'm coming from and offers good advice. She was responsive and wonderful. Helped me through my conflict. My experience with Patricia Alvarado has been positive so far. Being able to write my problems helps me be more honest I think. I don't believe I have always been so open to therapists in the past....because there is that need to present yourself to be accepted. It's a natural reaction to bottle up your problems in front of others. She seems to understand what I'm saying & validates my feelings. We all need to be validated. Patricia has really helped me get a lot off my chest; my fears, worries, and anxiety as a whole. She's empathetic and understanding - giving flexibility when needed and always there with a quick response. She's great! Tells it like it is in a soft way. I'm getting a lot out of working with her! I absolutely love how prompt she is in responding. But most importantly, I love how she reiterates things that we talk about, which shows that she understands and cares, as well as passionate to listen and care and to be of help for any situations you are in. She actually takes the time to ask you questions in regards to your own situation to help you better understand it. The questions she asked are not questions of why it's happened or how it's happened, but questions in regards to where it helps to make you think of a solution to your own situation. And based off what your response is, she will first reiterate to make sure you know she understands and second, elaborate on your response to the question to see and find out different options to have a better clarification if your situation. Patricia is a great therapist. She has helped me in so many ways. She is very caring and thoughtful I don't know where I would be with out her. Patricia is very calm and direct. She identifies the problem and suggests outlooks on them. She's doing her job well. This would be a longer review but I don't have the time right now. Everything you can expect from a therapist! My BetterHelp counselor is great! As someone who struggles with anxiety and depression, she has helped me tremendously to navigate my feelings with issues in my personal life. She is very insightful and a great listener. 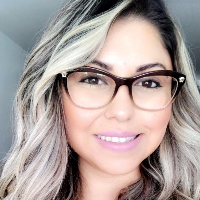 Personally, I find it hard to find that strong connection with any counselor/therapist so I am beyond grateful that I was able to connect with Patricia Alvarado. Since Day one Patricia has been always here for me I feel so much support from her she understands my needs and my feelings. I stopped writing to her for a couple of days and she was the one to send me a message to check up on me I just love her work and how professional she is with me I really thank her for all she has done and has brought me to my senses towards my life. She's amazing! Would you like to write a review for Patricia Alvarado? We'd appreciate if you can spend a couple of minutes to write a short review for Patricia Alvarado (MA, LPCC, LMHC). This review would be shared with Patricia Alvarado. It may also be posted in our website or in Patricia Alvarado's profile but it would be anonymous and your identity would be kept completely confidential.